It’s inspiring to see all that has occurred and all that is transpiring in the life of blossoming singer-songwriter, Robert Gillies, since his appearance on Alive with Clive in November, 2012. After the release in 2011 of his debut album, Astronaut, which has 8 songs, Robert, who is from Scotland, studied at Berklee College of Music and is now based in California, released The Distance with 10 songs in 2014 and Amber with 13 songs in August, 2016. 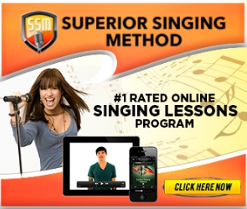 He has also opened for such notable artists as Andy Grammer and A Great Big World! You’ll find his latest news on his Web site, where there is also an interesting Blog post about his recent trip to China as a representative of Ztylus, a provider of mobile phone camera lenses. 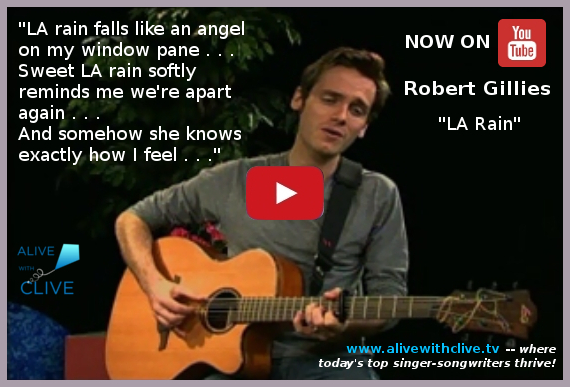 Click here or on the image above to see the video clip now on YouTube of the 3rd of 4 songs Robert wrote while on a trip to Los Angeles to be on The Ellen DeGeneres Show and performed on Alive with Clive, “LA Rain,” a song about finding comfort from the rain during a time of loneliness in a hotel room in Los Angeles. Speaking of the Ztylus mobile phone camera lens, with this nifty beautifully-designed 4-in-1 mobile phone camera lens accessory you can take four different kinds of pictures — pictures with a wider panoramic view, so you can for example fit more people into a picture; pictures with a closer more granular view; pictures in which you can reduce glare or light reflection and improve contrast and color saturation; and pictures with a fish-eye effect.